Uncategorized Archives - eSport-times.com | Major events review, Fresh news from a Cyber World. 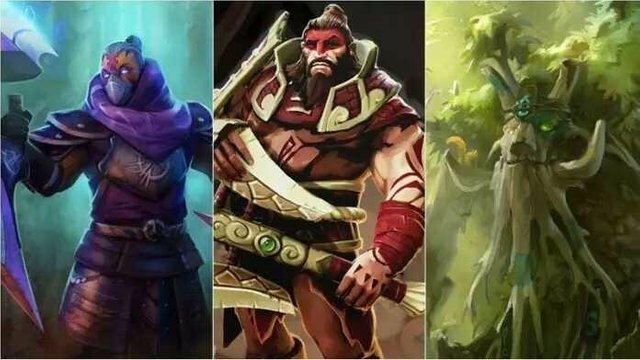 While Valve nerfed Phantom Assassin and Magnus via small patches, Beastmaster slowly climbing to the top of the strongest heroes of the current meta. That hero is having 56% winrate and almost 60% in 2-5k MMR division. Partially that effect can be considered that the hero is quite easy in the new patch, partially – thanks to the quicker metagaming. That is why today I want to speak about Beastmaster as one of the strongest hard laners. Until 7.20 patch, Beastmaster was an extremely unpopular hero (3rd from the end of the list), just a little bit more popular then Chen or Lone Druid. In the PlayOff stage of The International 2018 he was never been picked or banned, and in public games, he has only 46% winrate. But right now he is just a little weaker then Visage in the top MMR division, while in the pubs on the level weaker he wins almost 60% of all games. Ring of Aquila is dead, and now Ring of Basilius could be upgraded only in one artifact. And the name of this artifact – Vladmir’s Offering. After recent changes, it becomes top 1 item in Dota 2 and every professional team focusing on getting one in the stash. Not only supports aiming to buy Vladmir, but even Core roles such as Troll Warlord or Phantom Assassin. In the patch 7.20 Vladmir’s Offering became cheaper by 325 gold, and the armor it provides increased dramatically. In the new meta this item became must-have, and off-laners – are the first candidates who want to buy it. With Beastmaster in your team, destroying outer towers will not be a problem, especially if he has Vladmir’s Offering in his inventory. Affecting of the patch 7.20 on Beastmaster was missed by almost everyone but in the patch 7.20e, the hero received some minor nerfs. Therefore his winrate increased from 53% to 56% during the last month, without any changes in his abilities. In the Meta where Shadow Fiend with Guardian Greaves become quite popular, and laning stage has such large influence in the whole game, Beastmaster feels himself on a Hard Lane as in his home. I want to remind that he is the second bannable hero of the last major tournament. The one little nerf – Wild Axes no longer pierce through BKB, but all other abilities became much stronger. Call of the Wild was split on two abilities, right like in the before-7.07-times. Now Boar lives 40 seconds, while the CD on the summoning ability is only 30. That opening some small burst windows when you’d better stay away from that hero. And I need to mention that Boar received a HUGE buff, his attack damage was dramatically increased, on the 4th level of the Call of the Wild, the Boar is dealing 220% more damage than before. Considering buffs of the Primal Roar that affecting all control-units, Beastmaster became better not only in Team Fights but as a Solo assassin. The Eagle now not as good as it used to be, but now you could have more than one on the map at the same time. 7.07 patch united Call of the Boar and Call of the Eagle into the one ability, but this not affected the popularity of this hero. Dota 2 heroes, which requires a lot of micro-control, always been less popular. That is why insanely-strong Visage is at the bottom of the popular now heroes. Beastmaster popularity doubled since the beginning of the 7.20 Dota 2 patch, perhaps the hero is now easier, or the people get used to the new meta, but you could not ignore this hero, especially if you interested in boosting MMR of your main account.